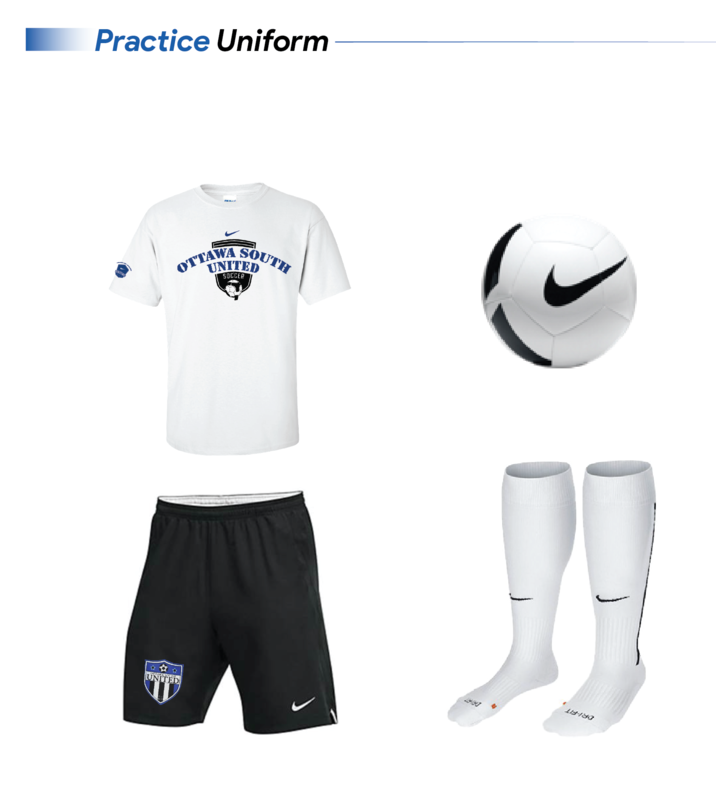 The Uniform policy fosters a sense of professionalism and unity within the Club by demonstrating greater respect for the uniform and a “club” look at practices, games and tournaments. OSU is a designated NIKE Premier club and as such only NIKE uniforms and equipment is acceptable. Player will have socks pulled up and shirts tucked at all times from warm up to the end of the games. 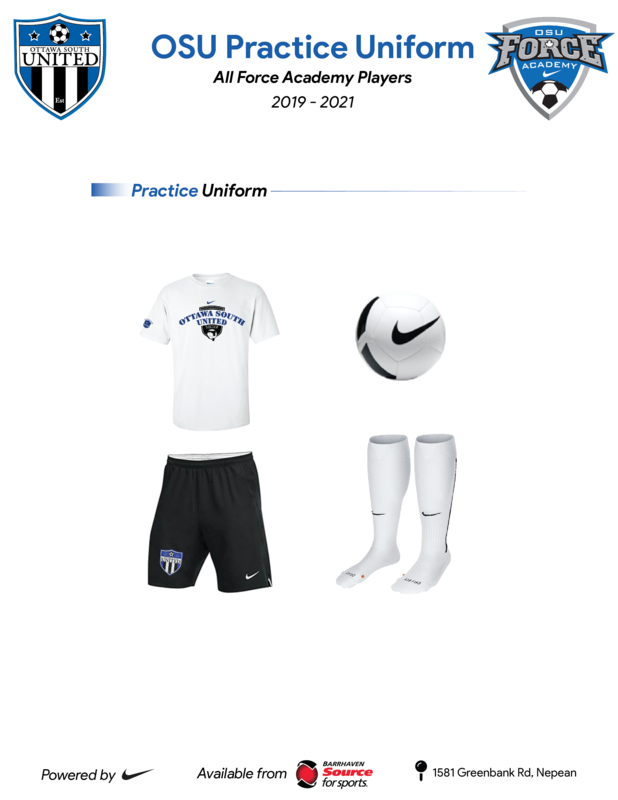 All players on the Black and White Academy teams are required to wear the official NIKE track suit to and from the game and when traveling. This applies to all members of the team. All competitive uniforms are to be same across the Club, no exceptions. In the event players do not conform to these policies, it is up to the coach and team manager of the team to enforce the policy using best judgment; this should include taking away playing time for repeated or serious violations. In the event coaches do not enforce the policy, the Club will use its best judgment to develop appropriate sanctions. The logos on training uniforms, and any Ottawa South United S.A Uniforms will be the same. If a conflict occurs between two players that wish the same uniform number the player that was already part of the team has the first option for the particular number. In the event this is a new team than the coach will make a decision on numbers.